Help the baby bird to find his mother using this stunning lift-the-flap book. 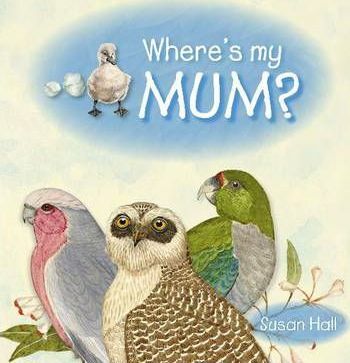 Where's My Mum? is in the style of the enormously successful Guess Who? A cygnet hatches out of sight of its mother and looks for her throughout the pages. She questions each bird she meets (each one hidden by a flap) and, on the way, learns about each bird. Finally she finds the black swan, her mother. Educational facts are included on the reverse of the flap.